Should you do a lot of research? I don’t think so. After all, you’re writing speculative fiction, not historical fact. The worst thing in the world would be to accumulate a mass of information about 19th century clothing, furniture, etiquette or whatever – which you then felt obliged to include just because it’s true. No! The spirit of steampunk is creative anachronism – that is, doing history and getting it wrong. Like steampunk fashion guru Kit Stolen, we’re all anachronauts. What’s matters isn’t the fact but the feel – the feel of a different past era. So, sure, immerse yourself in 19th century novels or non-fiction until you can swim in that world like a sea. Then swim away from it! Use the historical reality as a springboard for your own imagination. 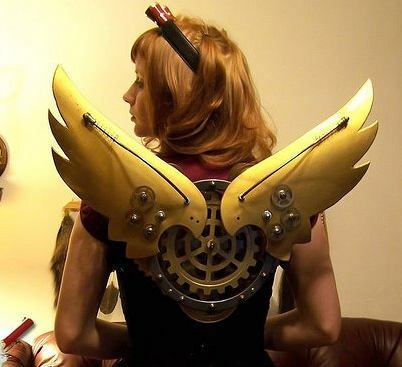 Do-It-Yourself—that’s what steampunk is all about! It helps if something in the 19th century particularly inspires your imagination. For me, it was the gaping difference between the respectable façade of morality and propriety, and the very ugly goings-on behind that facade. The Victorian class structure gave me my inspiration for Worldshaker. I believe 19th century novelists like Charles Dickens didn’t just observe the world around them, they had a vision of it. And their vision still fascinates today—like the Arthurian vision of mediaval times. It’s a gothic imagination – as in forbidding castles, subterranean caverns, romantic mists and storms – but re-applied to their contemporary reality of fog and steam, cities and factories. What I like is that it’s a dark vision and a suggestive vison, not seen in the clear light of day. Maybe that’s why it was such a great time for imagining horrors. So many classic horror figures come from that time—Frankenstein’s monster, vampires, Jekyll and Hyde, the Baskerville hounds. On the one hand, the official shiny progressive optimism, but on the other hand, a dark and morbid streak of fear and uncertainty. The 19th century produced so many iconic figures – great criminals, great eccentrics, great monsters, great rogues. That’s what I look for in steampunk. Characters like Isombard Kingdom Brunel or Jack the Ripper or Sir Mormus Porpentine (oops, I slipped into my own fiction there). If steampunk already has its generic traits, I guess one of them is fast-paced storytelling. 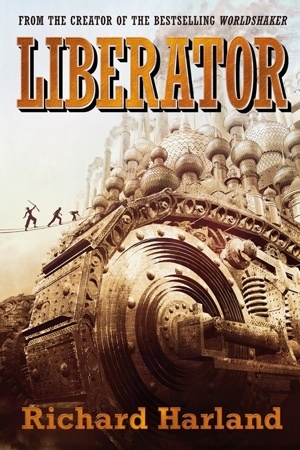 I don’t say it ought to be be that way--and if you count China Miéville as at least steampunk-related, then great steampunky fiction can just as well have a very slow pace. But … a strong narrative drive is something that publishers may expect and look for. Every tip I can offer on maintaining narrative drive in steampunk is also a tip for maintaining narrative drive in any genre, so it’s already posted up in the STORY section of this guide. Steampunk is in some ways fantasy and in some ways SF. One problem it shares with both is how to introduce a whole world without info-dumping, but it’s not easy to use the classical fantasy strategy and start from a corner. Like SF worlds, steampunk worlds are more likely to be urban, with good communications, so it’s not so easy to arrange for ignorance! 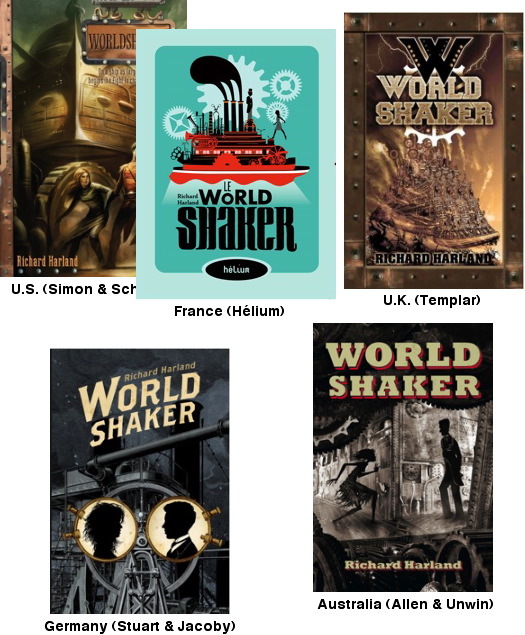 In Worldshaker, I take a main character whose very sheltered upbringing has protected him from the realities of his own world; it’s also a world where many of those realities are never spoken about in polite society. Here again, I think steampunk writers should steer between two pitfalls. You wouldn’t want to have characters lapsing into jargon that sounds 21st century, and you wouldn’t want to use such jargon in your author’s voice either. On the other hand, you don’t have to write like someone writing in the 19th century – if only because 19th century novelists were very heavy and over-descriptive by our standards. And your dialogue still has to be lively and spirited, not just historically accurate. As my editor pointed out, the phrase ‘panic attack’ doesn’t really belong in this world of juggernauts. I agreed, and I’d have taken it out – except that that bit of dialogue cracks me up whenever I read it. (It is funny, I swear … okay, you have to be there!) So we left it in, and nobody’s objected yet.